Researchers think they’ve solved the long-standing mystery around a tiny mummified skeleton found in Chile. Despite the size of the 15cm-long foetus, initial tests had suggested it was a child aged six to eight years old. The skeleton’s odd features and advanced bone development had sparked speculation about its origin. 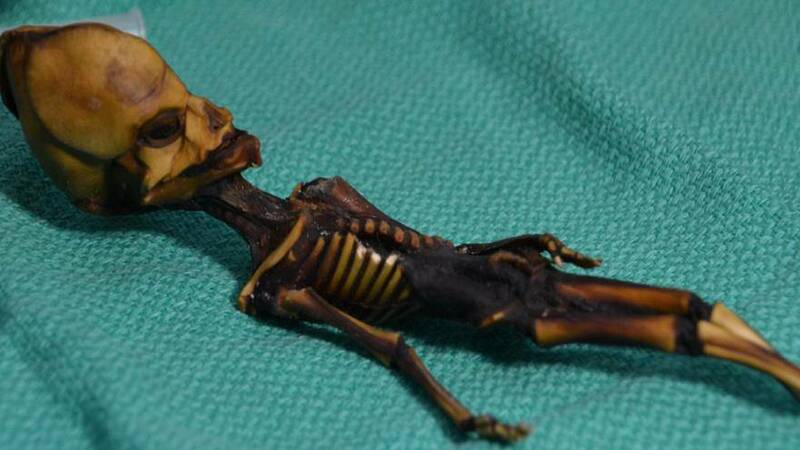 Some suggested the skeleton, named Ata, was a non-human primate, while a documentary called Sirius claimed it could be evidence of an alien visit. But now a paper published in the journal Genome Research has put the debate to rest. It says the unusual appearance is down to genetic mutations. “Here we present the detailed whole-genome analysis showing that Ata is a female of human origin, likely of Chilean descent, and its genome harbors mutations in genes previously linked with diseases of small stature, rib anomalies, cranial malformations, premature joint fusion, and osteochondrodysplasia,” the paper’s introduction reads.